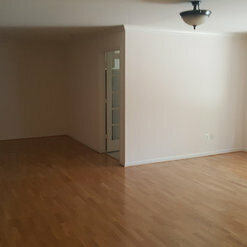 All projects are priced according to clients budget and needs. New white wash hardwood floors baseboards and custom rails. 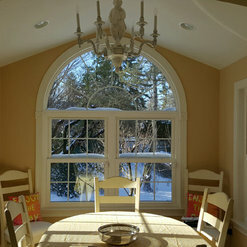 My wife and I hired DMH Construction for a major renovation of our kitchen, dining room and living room. We highly recommend Dustin and his company!! Great work from start to finish. 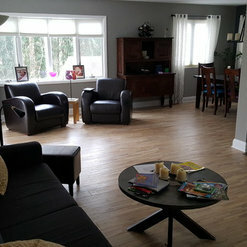 He stayed on schedule and budget, We could not be more pleased with the job he did! We will be using him for any future projects. 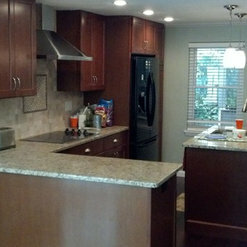 Dustin at DMH Construction completely gutted and remodeled my townhouse kitchen. I was extremely pleased with his work and the final product. He installed cabinets, repaired and replaced drywall, installed a new sink and faucet, installed recessed lighting and did a great job on my tile backsplash. He made great suggestions throughout the process and was very professional to work with. He also cleaned up every day which was very much appreciated. I would highly recommend DMH Construction and would use him again on future projects. 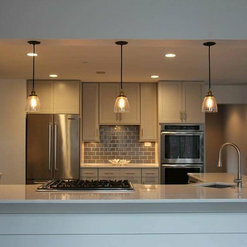 DMH Construction is a 5-star company providing meticulous work and the most reasonable rates around. I would not use anyone else!! CEO Dustin Hale is the finest carpenter...you won't find better! Dustin remodeled our master bathroom and dressing area 4/15. He took out the tub and converted it to a shower. Everything was replaced including vanity, toilet, lights, medicine cabinet and exhaust fan. He installed a recessed light above the shower which is great. 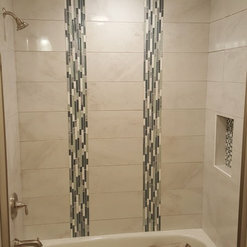 He also installed tile on the shower walls and the floor in the bathroom and dressing area. 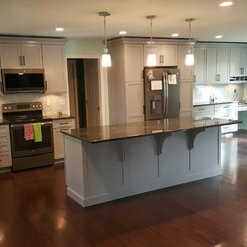 My husband and I are extremely satisfied with his workmanship and would highly recommend!! 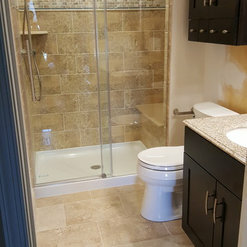 Working with Dustin Hale of DMH Construction was a wonderful home improvement experience for my wife and I. Dustin completed a bathroom remodel which included fixing piping, new subflooors, new tile, and installing all new items in the bathroom. 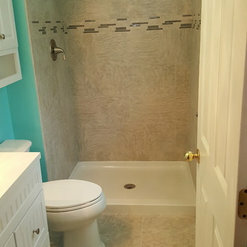 The work was completed in a timely matter, and we could not have asked for a better person to install and remodel our bathroom. While there Dustin completed other minor items in the house such as installing outdoor trim around the sliding glass door, caulking the roof, and replacing a piece on the screen door. 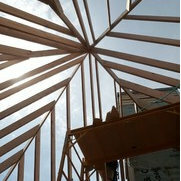 He is very knowledgeable about the construction business and takes a great deal of pride in his work. 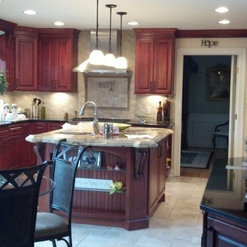 I would highly recommend DMH Construction to anyone looking to make improvements in their home. 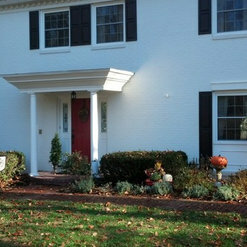 I will be using DMH Construction on future remodels in my home. I used DMH Construction for a bathroom remodel that involved taking out a fiberglass tub and surround and replacing it with a large shower. Dustin was prompt, reliable and took great care to contain the mess and clean up afterwards. 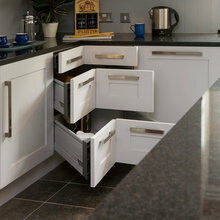 He completed the job in a timely manner, was reasonably priced and I was very pleased with the project at completion. Excellent work at a fair price! 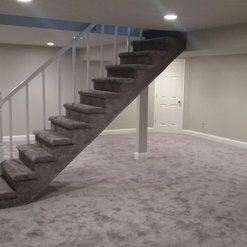 We have used DMH Construction for our bathroom remodel and basement refinishing. In both cases the work was completed on time, within budget, and to our complete satisfaction. I would certainly recommend to everyone. My husband and I had our downstairs bathroom remodeled and our front porch. We love his work and the details he puts into the projects we hired him for. Dustin helped with ideas and design and creates beautiful work. We would highly recommend DMH Construction and we look forward to hiring again to do our master bathroom.